The Polish Society of Oriental Art is organising its 14th conference: South-East Asia: Art, Cultural Heritage and Cultural Relations with Europe / Poland which will be held September 29th â€“ October 1st, 2011 in Krakow. This conference will be held at the time of Polandâ€™s presidency in the European Union and is connected with the activity of the Asia-Europe Meeting (ASEM) organisation. Closing date for submissions is 31 March, 2011. Registration information here. The Conference offers an ideal opportunity for scholars from the European Union (including Poland), the countries of the South-East Asia as well as other parts of the world to meet and exchange ideas and results of their research on South-East Asia. Poland has a long-standing tradition of research in Asian studies, including the region of South-East Asia, and of participation in restoration of art monuments there (especially in Cambodia and Vietnam). 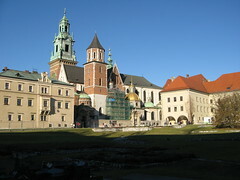 Some institutions in Poland have been involved in stimulating academic interest in South-East Asian culture and art, such as the Faculty of Oriental Studies of the University of Warsaw, the Institute of Oriental Philology of the Jagiellonian University in Krakow and the Institute of Study and Restoration of Artistic Works of the Nicolaus Copernicus University in Torun as well as the Asia and Pacific Museum in Warsaw. Interest in the culture of this region has been growing among art historians, art restorers, museologists, orientalists, ethnologists, theater, dance, music and film scholars. – protection of the regionâ€™s cultural heritage. The area concerned covers Brunei, Cambodia, Indonesia, Laos, Malaysia, Myanmar, the Philippines, Singapore, Thailand and Vietnam, including Indian, Chinese, Japanese, Arabic and European cultural presence in the region.